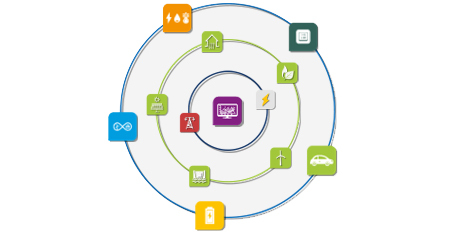 InterFlex investigates the INTERactions between FLEXibilities provided by energy market players and the distribution grid, with a particular focus on energy storage, smart charging of electric vehicles, demand response, islanding, grid automation and the integration of different energy carriers (gas, heat, electricity). InterFlex is demonstrating islanding capabilities while assessing the potential business models of real microgrids that are based on on-site generation from 100% renewable sources such as PV or Wind. We are experimenting ways to seamlessly swith from the grid mode. Such islanding will improve the security of supply for the customer and enable the use of renewable energies via automated control of residential assets and larger storage devices. 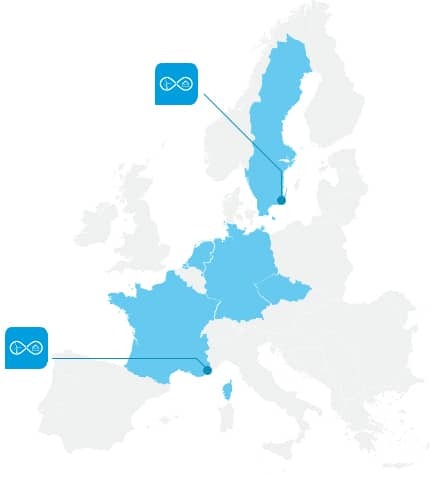 The demonstration project in Nice is focusing on islanding as a service to improve the security of supply for customers – This work includes the automated islanding transition, micro grid system operation and the assessment of potential business models. The Simris demonstration project focuses on automated grid-operation of a system that is able to transient to an islanded (i.e. self-supply) mode in a seamless way whilst enabling the community to support the use of the renewable energy via automated control of their residential assets e.g. heatpumps, boilers and battery systems. 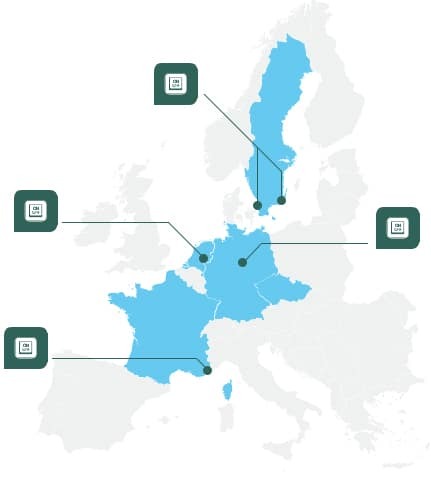 Across Europe InterFlex seeks to empower customers to bring their flexibility to the energy system and offer their assets to system operators and markets. The aim is to make the customer’s demand flexible and controllable, without sacrificing comfort or economic principles..
By offering their assets to system operators and markets – heat pumps, water boilers, electric vehicles or battery systems – the customers help to make the grid more efficient and reliable even with an increasing share of renewables, without sacrificing their comfort nor economic principles. The focus of the German Demo (Avacon) is the Smart Grid Hub, a device that will control a large number of small generators, flexible loads and storage devices to increase the hosting capacity, relieve congestion and optimize grid operation. 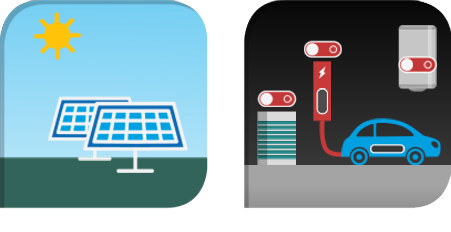 Enabling ancillary services, congestion management, voltage support for PV integration using centralized, grid-connected storage systems to improve grid observability of prosumers, promoting batteries in multi-service approach. Eon tests and validates the operation of demand-side-response technologies within a microgrid that is purely sourced by renewable energy sources (RES). Key element of this use-case is the integration of a demand-side-response platform on residential household level to leverage necessary flexibilities and support the integration of renewable energy. Energy storage solutions aim at accumulating extra renewable power generated during consumption lows, and its use during consumption peaks. InterFlex is testing smart residential batteries, and larger shared storage devices to relieve network congestion and favour small-scale power generators and self-consumption. Storage systems are an essential part of islanding, as well as to increase the renewable hosting capacity of the grid. 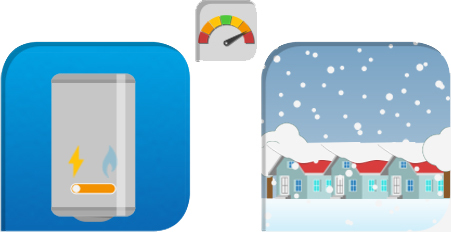 Within the Czech Demo (CEZ Distribuce) smart functions of home-energy storage systems shall help to increase the hosting capacity of distributed generation units in LV and MV networks with mitigation of negative impacts on customers. The German Demo’s (Avacon’s) Smart Grid Hub will control distributed storage devices to increase the hosting capacity, relieve congestion and optimize grid operation. 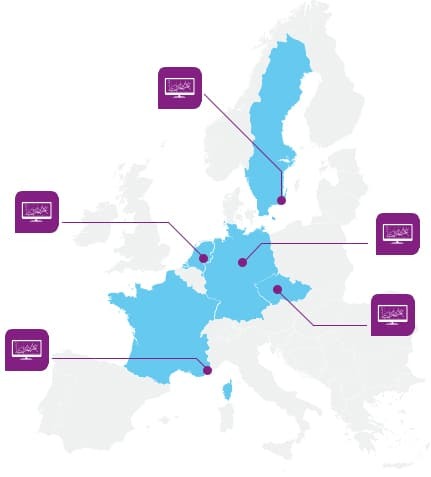 The French Demo (Enedis) will used shared, larger-scale batteries to both relieve grid constraints and enhance self-consumption. Business models for such co-operation models shall be evaluated. 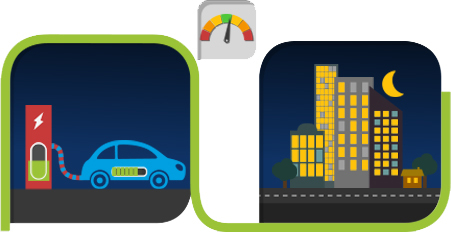 Validating technically, economically and contractually the usability of an integrated flex market based on a combination of static battery storage and EV chargers. InterFlex is experimenting on cross-energy-carrier integration to exploit untapped potentials for flexibility provision. By enabling the interaction to other grids (e.g. gas, heat and cooling) electricity grid constraints caused by renewables shall be solved in an efficient and cost-effective way. Interflex explores the flexible utilization of hybrid heating systems and of a large heat pump, dependent on the grid conditions. Furthermore, business use cases include the use of building’s thermal inertia as a significant and cost-efficient source of flexibility. 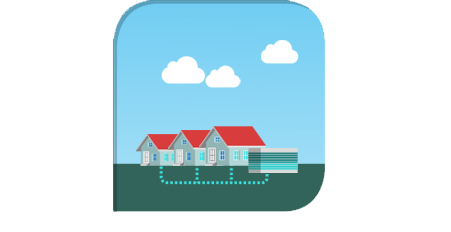 The project in Nice is focusing on the flexible utilization of hybrid heating systems that can run on both electricity and gas, dependent on the grid conditions. Furthermore, high-efficiency co-generation units are integrated for additional power flexibility provision. The Swedish projects (Eon) focus on the interaction between thermal grids and the electricity grid, by converting excess renewable power into available necessary heat for residential and commercial customers. This interaction will be enabled by the evaluation of the operation of a large heat pump and the use of thermal inertia as a significant and cost-efficient source of flexibility. E-Mobility challenges the grid, as quick electric vehicle charging stations require big power loads. Interflex demonstrators integrate Electric vehicle user profiles to adapt the charging power during congestion periodsor renewable generation peaks, with mitigation of negative impacts on customers. Congestion problems on the grid are solved by using flexible energy resources or batteries and by postponing or even interrupting the EV charge according to a predictive analysis, and with the consent of the customer or by curtailment of charging power in case of emergency. For the Demo in Eindhoven (Enexis), flexibilities are designed to meet the needs of the EV users: there shall be power for driving whenever necessary. Congestion problems on the grid should be solved through the use of flexible energy resources. Another possibility is to delay the charging or interrupt the charging when possible and after consultation the customer. Distribution grid automation allows for the enhanced integration of renewables and new load patterns including EV charging. Grid automation also enables the reduction of fault localization and isolation times thus improving the reliability of power supply. InterFlex improves the monitoring and control of both power distribution and generation through regulation schemes based on reactive and active power flows. Grid automation improves the monitoring and control of both power distribution and generation in the aim of integrating the increasing shares of renewables. As such Grid automation is key to drive all Interflex innovation streams. The Czech Demo (CEZ Distribuce) is focusing on voltage control by autonomous and specific regulation of reactive or active power allowing connection of increased share of distributed generation in LV networks without negative impacts on customers. Enabling the optimal activation of all available local flexibilities offered by the locally installed EVSE’s for congestion management. In cases where system stability is at risk grid operators in Germany are allowed to curtail the feed in from renewable generators as a last resort to avoid equipment overload and system collapse. In use case 1 Avacon will employ the Smart Grid Hub to test new strategies for a more efficient and effective curtailment of renewable feed in. The goal is to minimize the number and duration of interventions and to increase transparency and reliability. Eon aims at increasing grid automation. On the one hand it aims at testing the ability of a DSO to observe and steer the operations of a micro grid in response to distribution level network constraints, therein calling on a flexible response from the micro grid. On the other hand it aims at fully automatizing the response of the DSR assets, in order to guarantee comfort and minimize customer´s behavior change.